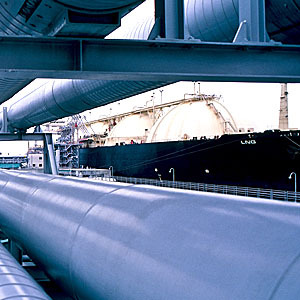 UltiSep technology was developed to address the inherent deficiencies of the conventional gas-liquid separators, making it possible to effectively remove liquid aerosols from gas streams. UltiSep flows from the inside-to-the-outside, reducing the gas velocity as the droplets are being removed. The media technology is specifically designed to provide the desired level of separation and has the capability of providing effective separation from nano-levels to that approximating a demister pad. Capital costs are directly related to the size of the housings required for a particular gas flow rate. An evaluation of the factors affecting vessel sizing indicated that the annular space surrounding the exterior of the element is a key variable in the design. The annular space controls the annular velocity of the treated gas. If this annular velocity exceeds certain critical thresholds, the gas will re-entrain or shatter droplets that are not adequately being drained from the system. In a system using conventional cylindrical elements, the annular velocity of the exiting gas increases along the element with a maximum velocity at the closed end of the element. UltiSep was designed to effectively separate these contaminants and is in service protecting high value installations and systems worldwide.